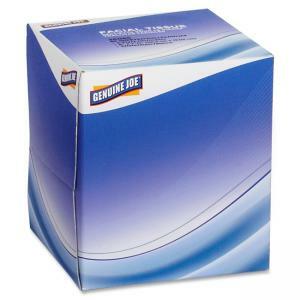 Facial tissue in a handy cube box offers the combination of a smooth surface and sheet flexibility for greater softness and comfort. Tissue comes interfolded for speedy, convenient tissue delivery. Poly shield makes dispensing near perfect and protects tissues from dust and dirt.